The holidays are upon us!!! 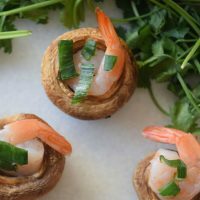 If you host any kind of gathering, you will want to have some appetizers that you can throw together quickly. Apps are great for dinner parties, games nights, or even just a neighbor who pops over to chat. 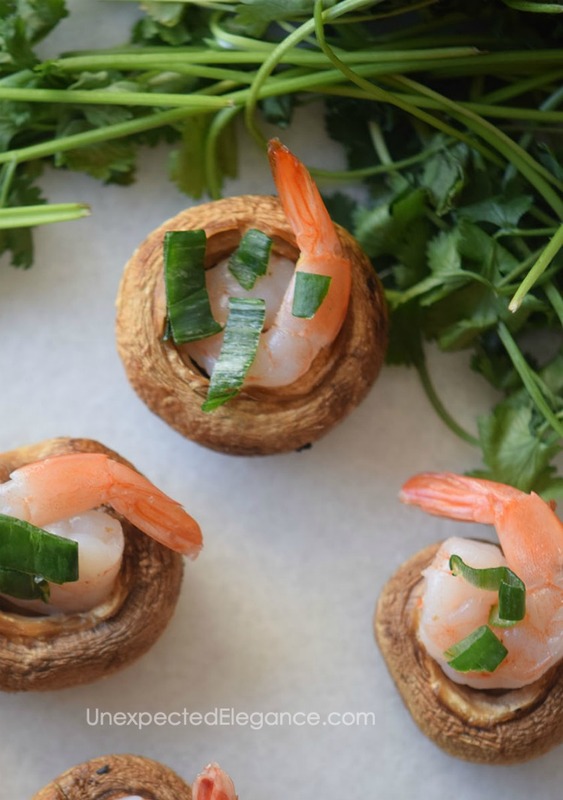 These shrimp stuffed mushrooms are quick to whip up and you can make as much or as little as you need. Squeeze lemon juice into a big cup and add the garlic. Add the shrimp to the cup and let stand for 5-10 minutes. Place mushrooms upside down on a lightly oiled baking pan. 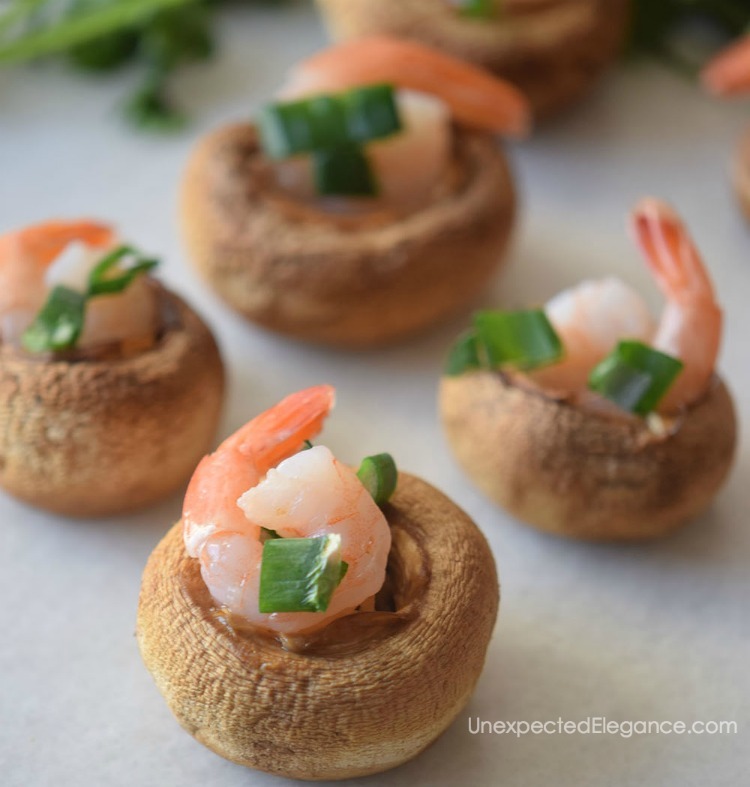 Remove from oven and add 1 shrimp into each mushroom. Tip: Swap ginger for thyme for a more neutral flavor. 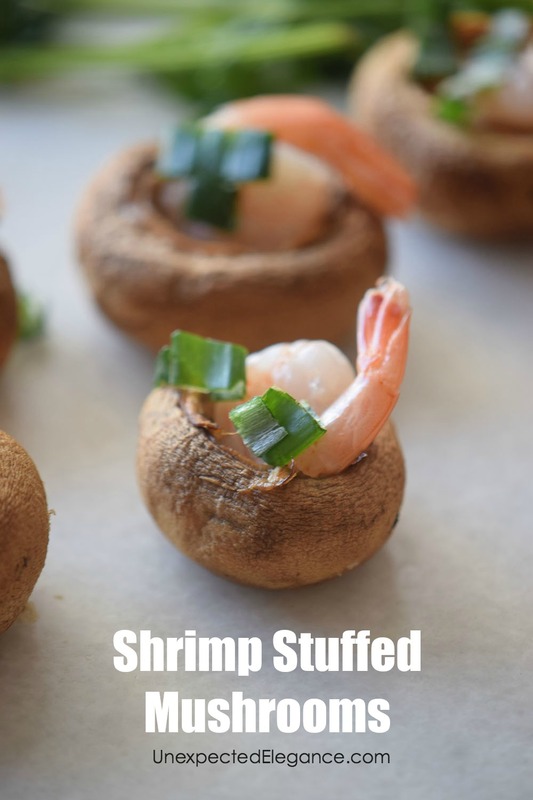 You can either cook the shrimp with their tails attached for a prettier presentation or without. If you remove the tails it will make it easier to eat.